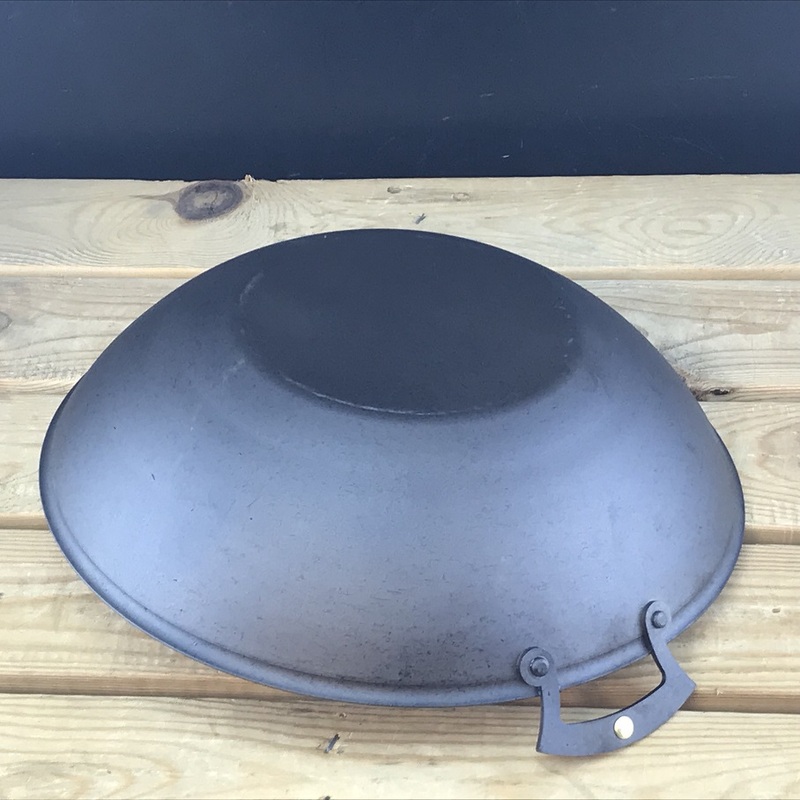 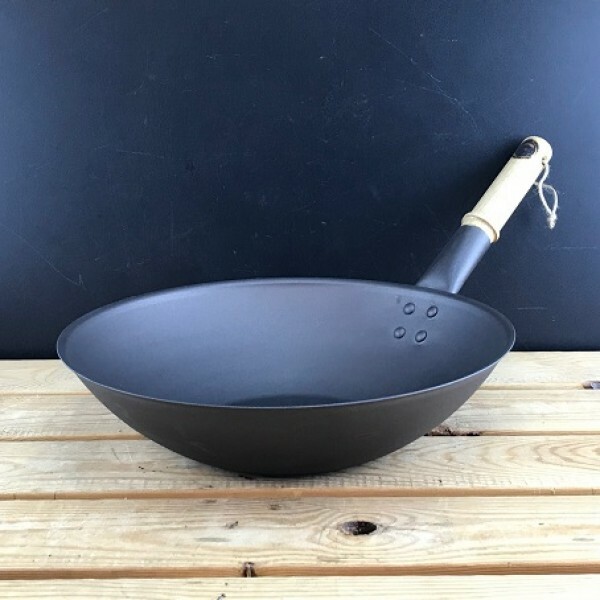 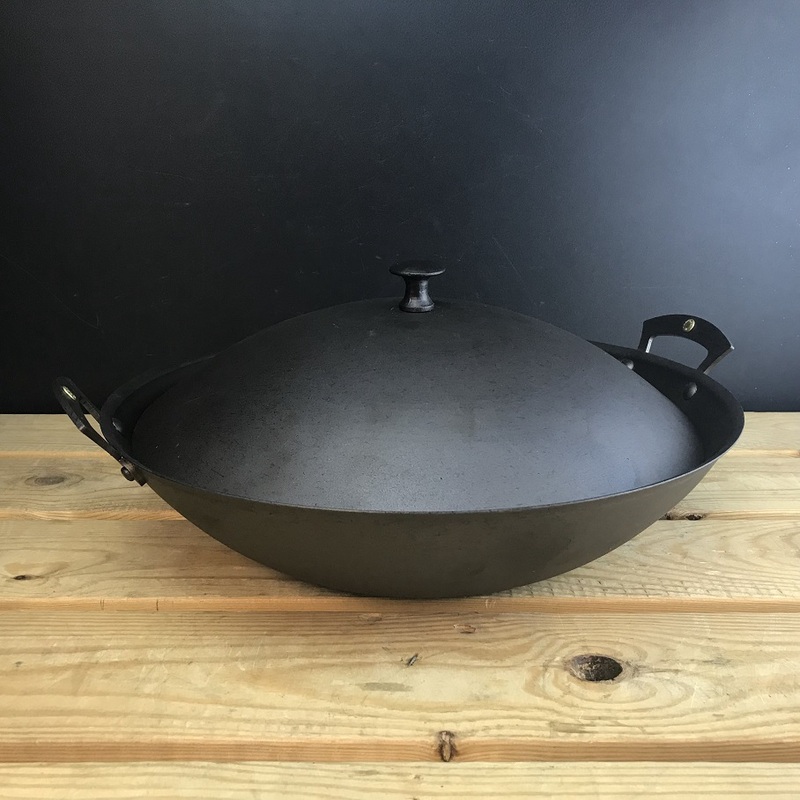 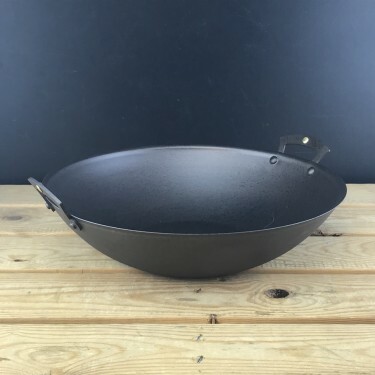 Shropshire made 13’’(33cm) spun iron oven safe Prospector wok. 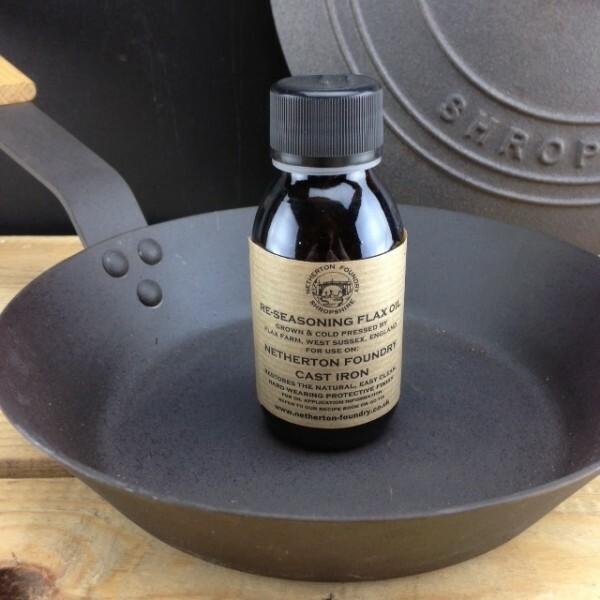 We met a lovely lady called Carmen at the River Cottage food fair. 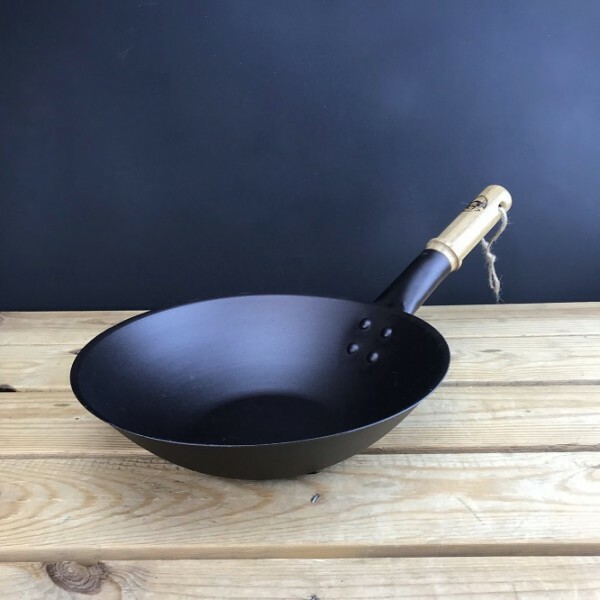 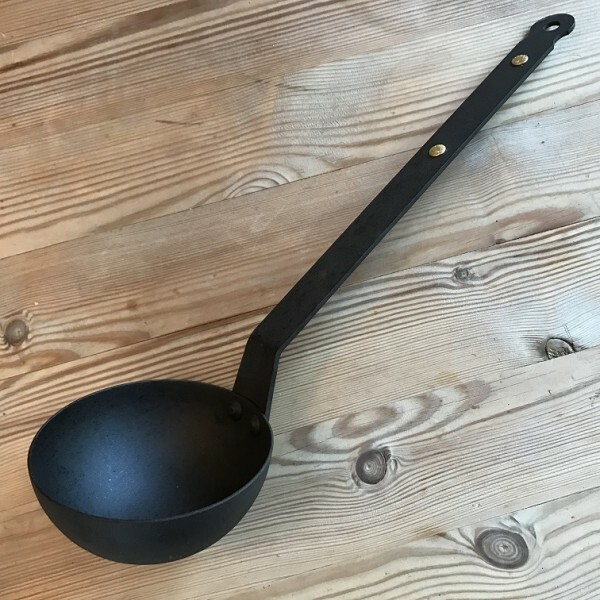 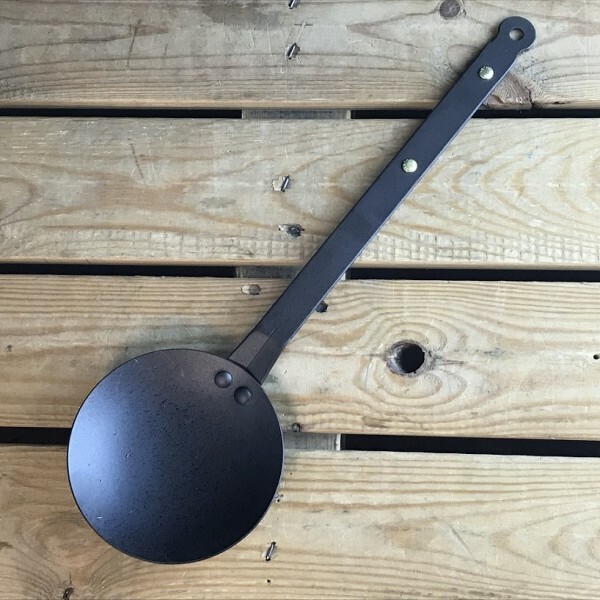 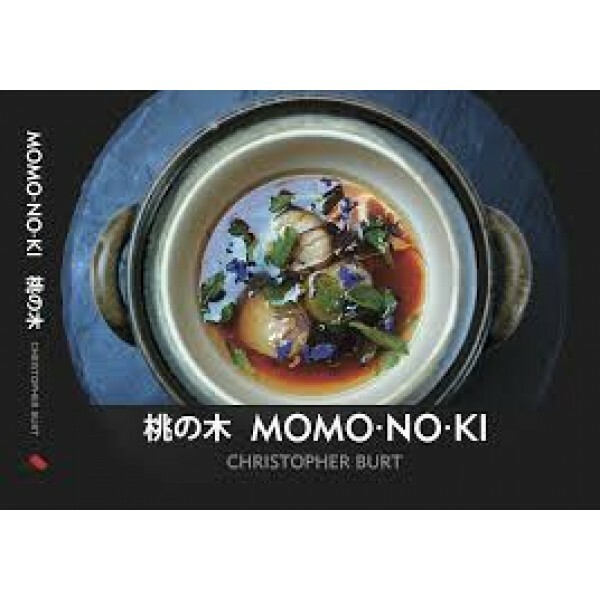 She commisioned us to make her a double handled wok as it would fit well on her hob and be oven safe. 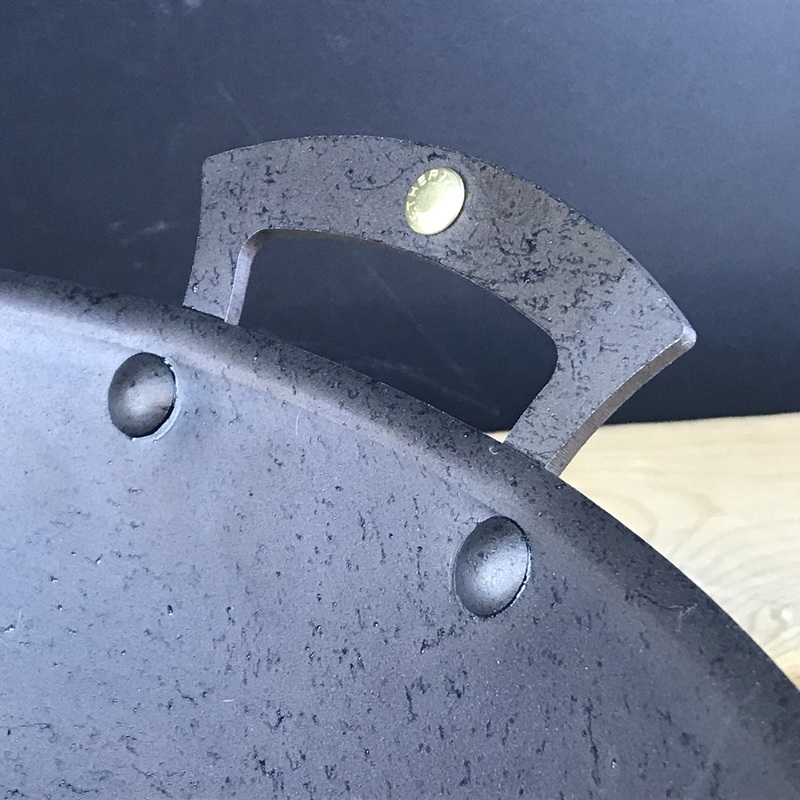 We thought this was a good idea, so we've made a small batch to see if you all agree with Carmen and us! 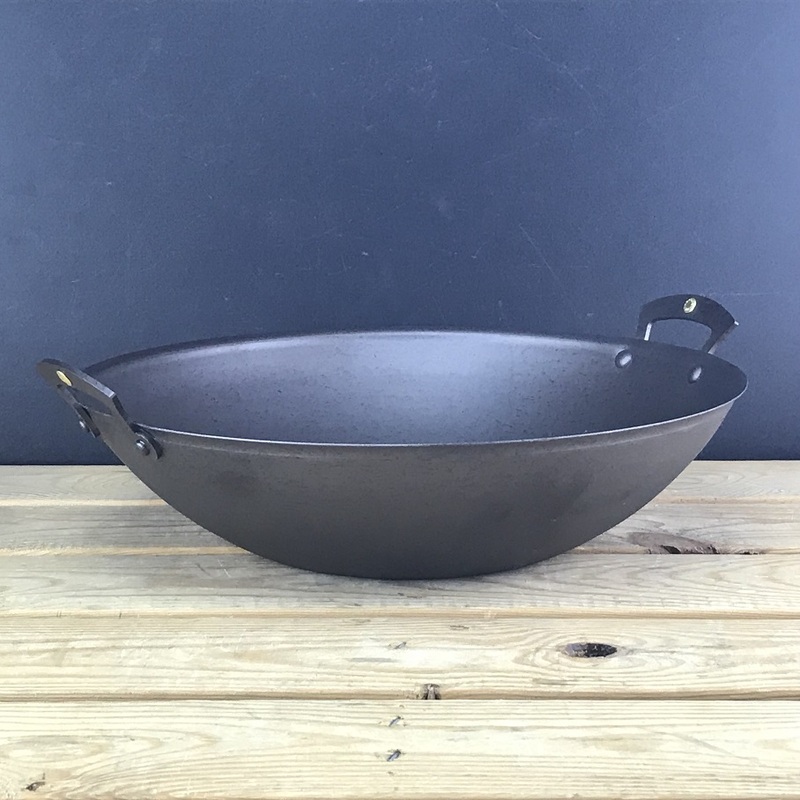 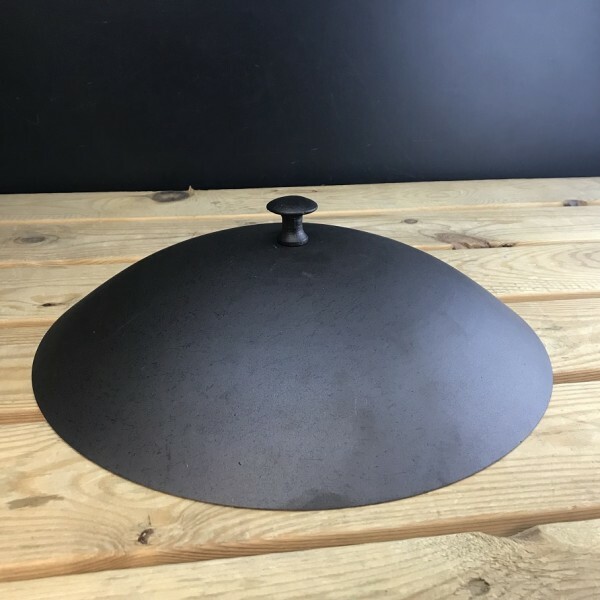 Rim diameter 13’’(33cm), base diameter 6'' ( 15cm), height from base to rim 3.25 '' ( 8.5cm), total width across handles 14.75'' (37cm).